The autumn is quickly turning into winter in the United States. A few states are even experiencing record lows for the month of October. But aren’t we supposed to experience warmer than normal temperatures because of global warming (now called climate change)? Why do climate alarmists fail consistently with their forecasts? The history of weather forecasting is not a secret. Weather, a word that is used to denote short-term local changes of atmospheric conditions, has always been difficult to predict. One of the reasons for this is the high degree of variability in the physical elements like wind, pressure, and moisture—some of the many factors that control rainfall and other physical phenomena in a local region. While we have made considerable progress using satellites to improve on our weather forecasts, the weather reporters in the news media still fall short of accurate predictions. If forecasts for a localized region and for a very short time period cannot be predicted with accuracy, it is likely that forecasts for global level changes in climate over long periods of time will have its own set of challenges. It is important to distinguish climate change from weather. Climate change is the change in climatic conditions over a long period of time globally or in a localized region. Just like weather, climate change is complicated and it is safe to say that climatologists have not mastered the art of forecasting climate with accuracy, despite the declarations of climate doomsday that we hear in our news media every day. The reason for this is simple. The climate of our planet is decided by numerous variables that are all complicated, and climatologists have not yet found a way to understand how these independent variables interact. The most popular variable that we hear on the news media is the carbon dioxide (CO2) concentration levels in the atmosphere. CO2 is just one among many variables that can influence our climate. One of the major influencers of our climatic system, according to climatologists, is the sun. But we seldom hear about the impact of the sun on our climate. It is well understood in academic circles that solar activity can have a significant, if not the biggest, influence on the Earth’s atmospheric conditions. Despite the complexity of the climatic system and the infancy of our understanding about it, a group of academicians and political elites have successfully peddled misinformation to the larger public. Climate alarmists—the ones who believe we are approaching climate doomsday—are confident that the future climate is solely decided on the basis of changes in atmospheric CO2 levels. However, this is not true with our environment. Their belief in such a hypothesis was put to the test over the past two decades when the temperature forecasts from their computer climate models were compared against the actual real-time temperature measurements for the same period. The analysis revealed that the computer climate models failed dramatically because of their assumptions that CO2 was the major driver of increase in temperature levels. The CO2 levels in the atmosphere increased at a very high rate between 1999-2017, but the temperature levels did not rise correspondingly, and the rate of increase fell behind the rate of increase that the temperatures displayed during the decades prior to 1999. This should have been a major wake up call for the climate alarmists. But they remain stubborn and continue to warn us of an imminent climate doomsday. 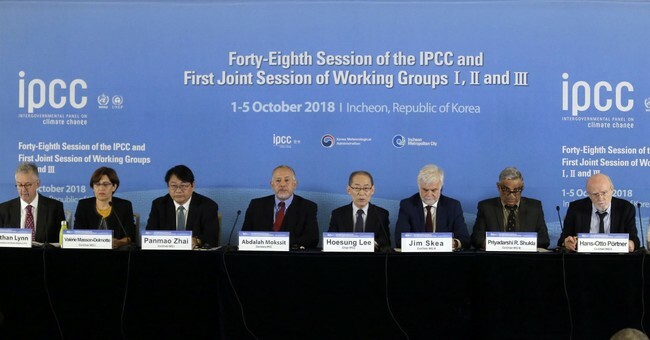 Their warning is based on their erroneous theory of a steep temperature increase induced by human CO2 emissions, which has been proven wrong again and again at the highest academic levels and testified to at the U.S. House Committee on Science, Space, and Technology by climate scientists. The current record lows are another testament of their false forecasts. Earlier this year too, parts of the U.S. and Canada experienced record lows, with temperatures breaking 50-year old records in many places. While record lows do not warrant us reason to deny long-term warming, they do invalidate climate alarmist’s claims of a rapid catastrophic warming that is nowhere to be seen. The alarmists forecasted higher than normal temperatures during the same winters that hit record lows. Alarmists tend to dismiss record lows, saying that it is a weather pattern and not climate. But when it comes to record highs, they assert it as an evidence of catastrophic climate change and not a mere weather pattern. “When the weather gets hot, it is climate change. When the weather gets cold, it is just weather.” This attitude of a few climatologists and policy makers is dangerous to any kind of progress in climate science. All climatologists agree that the world has been on a warming trend since the 18th century, well before the industrial era that contributed to human CO2 emission. Small increases in global temperature levels is an obvious and expected phenomena in this Modern Warm Period (1800 – Present day). In contrast, the climate alarmists have continually insisted that there is an on-going rapid increase in temperatures owing to human CO2 emissions and have always forecasted temperatures above the actual observed temperature. Nature continues to prove them wrong for their willful negligence and dishonesty towards climate science. Their act of intentionally misleading the public on global temperature levels will be brought to light by nature itself. Vijay Jayaraj has a Master of Science in Environmental Science degree from the University of East Anglia, England. He is the Research Associate for Developing Countries for the Cornwall Alliance for the Stewardship of Creation, and lives in Chennai, India.